The “nota verbale” (verbal note) sent by the Vatican’s Secretariat of State to all the ambassadors accredited to the Holy See represents Pope Francis’ most recent initiative to promote peace. It is through persuasion, dialogue and prayer that Pope Francis hopes to influence current armed conflicts, to bring them to an end. In the meantime, the international landscape is always more worrisome. Among recentdevelopments was the seizure of Benghazi by Muslim fundamentalists aiming at establishing acaliphate. In Iraq, houses of Christians in Mosul are branded with the letter “N” (which stands for Nazarene). Almost all Christians have been compelled to flee under death threat. There is an explosive situation in the Middle East in general and in Israel/Palestine in particular, and the prayer for peace convened by Pope Francis in the Vatican seems now to be a vague memory. Christian minorities, all agree, are the most persecuted in the world. Considering this worrying scenario, will the diplomacy of prayer and dialogue be enough? 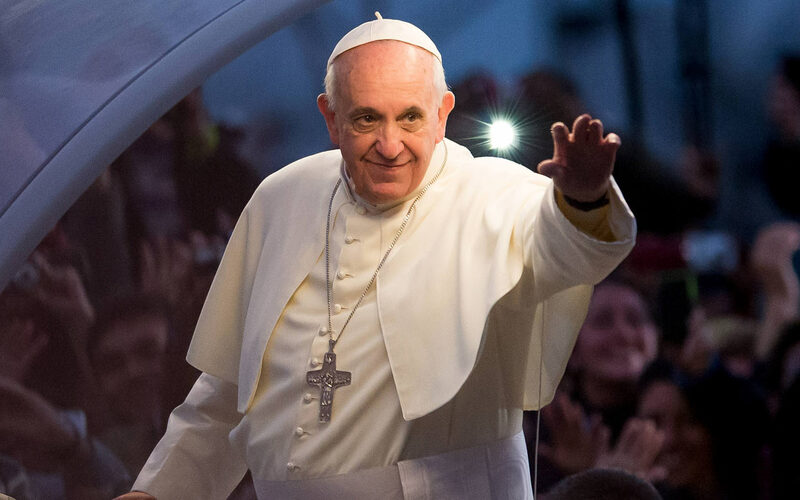 Pope Francis counts on his personal charisma. He is one of the candidates for the Nobel Peace Prize, and he really has a chance to get it. Compared to John Paul II, who was a candidate for the prize as well, Pope Francis attracts wider consensus in the secular world. John Paul II was popular and loved, but he made governments tremble when he spoke about human rights. 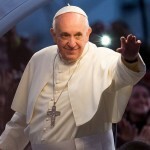 Pope Francis uses a more conciliatory approach, which the secular world certainly likes. Behind this conciliatory approach, there is a need for strong diplomatic engagement. Apostolic nuncios (i.e. the Papal ambassadors) work tirelessly. They are bishops, and their double role of shepherds and diplomats gives them insights that other diplomats do not have. They know the priests on their territory, they weigh in on the state of the local Church. But they also have first-hand information, coming from priests, missionaries and the faithful, and this information is shared with the Secretariat of State, where the “minutanti” put it into reports. The way these pieces of information are used is crucial. At the moment, the Vatican’s diplomatic policy seems to be that of “wait and see”. Cardinal Pietro Parolin, the Secretary of State, has first aimed at establishing a dialoguing and informal collaboration with the ambassadors accredited to the Holy See, as it was evident from the first meeting he had with them in his new capacity of head of Vatican diplomacy. «We already know each other (editor note: Parolin worked for a long time in the second section of the Secretariat of State), let’s lend each other a helping hand.» This was substantially Parolin’s message. It seems that his diplomatic activity will have as its base this informality. The “nota verbale” is just the most recent of different initiatives. The archbishop Dominique Mamberti, the Vatican’s “Foreign Minister”, mentioned in a program broadcasted in Vatican Radio that the “nota verbale” included all of Pope Francis’ appeals for peace. A similar initiative was held at the Eve of the Day of Prayer and Fasting for Syria, convened by Pope Francis Sep. 7, 2013. In a meeting with all the ambassadors accredited to the Holy See, Mamberti recalled all of the Pope’s appeals for peace and asked for “dialogue and reconciliation”. The same dialogue and reconciliation Pope Francis is still asking for. In the meantime, there is major work carried on by Christian charities and Vatican institutions on the ground. The situation of the refugees in Iraq is terrible, and to help face it the Congregation for the Oriental Churches has sent $50,000 for immediate needs; the Pontifical Council Cor Unum sent $400,000 for the same purpose and is playing a huge role on the ground; and Aid for the Church in Need has sent 100,000 euros, keeps collecting money for persecuted Christians and called for a day of prayer for peace on next August 6, Feast of the Transfiguration. These are the spearheads of the Holy See network in the world. These spearheads need support beyond appeals for peace. A visible and clear diplomacy is needed, authoritative enough to impact negotiations. The popes’ commitment to peace is a well-established historical fact. Pius IX actively promoted a culture of peace, which gave an impetus to the ecumenical dialogue. Leo XIII, Pius IX’s successor, carried the culture of peace to a conference on disarmament in The Hague in 1889. During that same conference some of the 26 nations who had taken part in it acknowledged the role of the Pope as a mediator in conflicts because of his “universal paternity”; Benedict XV outlined his plan for peace during the First World War, while Pius XII’s appeals for peace during the Second World War are history now – his radio message have been described as a “little social encyclical” by Bishop Mario Toso, secretary of the Pontifical Council for Justice and Peace. Even the vibrant John Paul II’s calls for peace are part of history now, as well as the day of fasting and prayer proclaimed in the 2003 Ash Wednesday to avoid the Second Gulf War. On that occasion, John Paul II’s efforts were not successful, unlike John XXIII’s efforts during the missile crisis of Cuba: the “Good Pope” diplomatic skills, the echo of his words, avoided a possible world war. On the trails of that experience, John XXIII then issued the encyclical “Pacem in Terris,” which can be considered the true guide of the Holy See’s diplomatic engagement. Structured on four pillars and anchored on natural law and subsidiarity, the encyclical gives rise to a method, that of starting from the signs of times to get to theology. A method which the Second Vatican Council will apply in issuing its documents. Together with the work on the ground, firmness on positions is what counts the most in the international arena. Until now, the Holy See had its impact. So much so that in 1986, in a UN document on development, there is a mention of the “integral human development,” a main topic of the Social Teaching of the Church, that is rooted in the Gospel and oriented toward the common good. The Church bears truth to the world, but it is also always in conversation with the world. On the basis of this principle, the Holy See has had a considerable diplomatic impact. Cardinal Paul Poupard went, as Papal envoy, beyond the Iron Curtain speaking about culture, thus dismantling the communist block through discussions on ideals. That very same period – it was the 80s – Cardinal Roger Etchegaray flew to the very closed Cuba and began a dialogue with Fidel Castro to which the first, historic Papal visit to la isla followed in 1998 (John Paul II was the first Pope to visit there). The nativity that Fidel Castro gave to Etchegaray is still exhibited in the cardinal’s dining room. The lídermáximo, on his part, still has in his bookshelf the books Benedict XVI sent him after they had coffee together during Benedict’s trip to Cuba in 2012 (Castro himself asked for books on God). Holy See diplomacy has the ultimate strength of its ideal. Its goal is the common good. Its object,the human person. The Holy See does not fight hunger, it advocates for hungry people. We should take this principle into account, since it is the reason why the on-the-ground network needs to be complemented by strong diplomatic action. How can this diplomatic action be supported by a Secretariat of State that seems to be always more sidelined within the Roman Curia? Cardinal Parolin has been appointed – though no document has made it official – member of the Council of Cardinals which counsels Pope Francis about Curia reform. But the Secretary of State authority is often undermined by the Pope’s decisions. Meanwhile, rising stars – entrepreneurial and not the least shy – see their profiles elevated, as that of Cardinal George Pell, Prefect of the Secretariat for the Economy. In the meantime, the way financial aid is delivered may change. Before, everything was done through the Institute for Religious Works (IOR), which guaranteed the sovereignty of the Holy See and safe money transfers. What will happen when the IOR reform is carried out and the IOR becomes something similar to a consulting firm? How will missionariesget financial assistance when operating in countries with a poor banking system? These cannot be secondary issues for Pope Francis, albeit he is focusing in different things and he has made of prayer a diplomatic tool. But prayers also have the strength of persuasion. And this strength can only come from faith illuminated by reason. The Church can offer the Truth in the public arena. On the basis of this truth, the Holy See acts inpeace negotiations, underscoring the importance of human rights, even raising debates among States. When principles are clearly affirmed, discussion cannot be avoided. And discussion is always a basis for peace. The problem with Aid for the Church in Need is that it uses a propaganda to collect funds that depicts islam mostly in a negative way. Although what it says is probably all true, it fails to mention all the good sides of islam that are also true. The Christians in Europe need a more balanced view of islam. As indicated by film maker Ilan Duran Cohen in his film “Le métis de Dieu” (2013) about archbishop of Paris cardinal Jean-Marie Lustiger, Aid for the Church in Need was among the supporters of the Carmelite convent in Auschwitz, threatening the continuation of a friendly relationship between Christians and Jews. The strenuous diplomatic efforts of the top cardinals of France (Decourtray and Lustiger) who mediated between the Jewish authorities and the Polish catholic bishops eventually lead to a peaceful settlement that diffused the crisis. You admit that what ACN says is ‘probably all true’ but you call it propaganda. Can you give a single instance of a false statement by ACN? If so, post it here. If you can’t, then withdraw the word ‘propaganda’. As for ‘depicting Islam’ mostly in a negative way – ACN is not claiming to describe Islam in its fullness; that is not its function. The function of ACN is to help Christians in need. That involves describing the persecution that Christians are subject to. You don’t raise funds to help the victims of a tsunami by describing the beautiful weather that an area gets most of the time. Any approach should begin with reading the Koran and acknowledging the instructions on how Moslems should treat non Moslems. Tax them, subjugate them tax them and displace them. They can enslave non Moslems, any resistance is to be crushed and non Moslem property according to the Koran should be confiscated. Over time non Moslems will convert because they find it easier. It is all in the Koran. Moslems are permitted to deceive and lie to non Moslems and the aim is to dominate the whole world and seek its submission (Islam). It is a most dangerous violent ideology and only isolation and opposing it will defeat it. That’s because God’s answer to the prayer for peace is “no”. God’s will, this season, is for war. His holy war against Amalek, the enemy who aims to exterminate the Jews and the Christians in order to blot out all remembrance of his name under heaven. The nations will have peace among themselves only if they obey God’s call to war against Amalek. Well, at least we have you, the “Seal of the Prophets”, to authoritatively tell us what God’s will is. Anyone can find this out by studying what the Bible says about Amalek. Which is precisely what I have been doing for the past year. Where o you think the crusading tradition comes from?